It finally happened. My favorite manicure brush, the one I have used exclusively for the last few years, has passed on. It put up with a lot of abuse and never complained. It cleaned up every smudge and spot, every wobbly cuticle line, every flooded finger like a champ. But its time has come. The bristles are stuck together, and the brush is always stiff. The ferrule rattles faintly whenever I take it out of it's bag. The once softly shining black handle is mottled from hours spent in acetone polish remover. The thin, precise egde has rounded and dulled. If you are in the market for a clean-up brush, look no further. 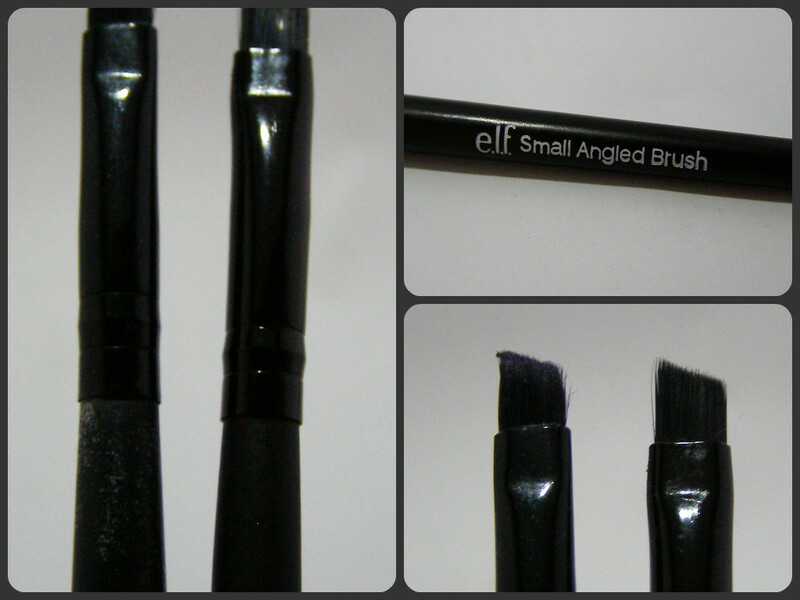 The ELF Studio Small Angled Brush is the brush for you. 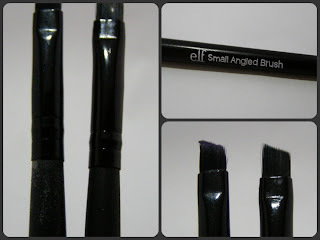 I have never used a brush I like as well as this one. It's small, precise, and budget-friendly. It's full price is $3.00, but I've seen it for less at Marshall's. Surprisingly, it holds up well to the abuse I dish out. It's made from Taklon, which is a synthetic fiber (and vegan! ), so I was really pleased and surprised that it didn't melt immediately. The thin edge of the brush is great for getting a nice smooth line at the "gap". It gets into the sidewalls without worrying about ruining the manicure. Buy it. Buy two. You won't be sorry. I use an elf brush for cleanup as well. Its the concealer brush though. I might have to try this! I had the concealer brush too. When it died, I sent the husband out for a new one (I was sick in bed) and he came back with this. I ended up liking it so much more. The angle makes it easy to keep a straight line, for me at least.